Did you complete your undergraduate degree and now you find that you aren't professionally satisfied? Have you started dreaming about what another educational degree could do for you in the career world? Adding to your level of education is never a bad thing; keep reading to determine just what could lie ahead for you if you complete your Project Management MBA (Master of Business Administration) degree. Of course, before you can be admitted into a college or university's MBA degree program you must first complete your undergraduate degree. It may be preferable for you to have this degree in a business related field of study. It is very likely that the college or university that you choose to attend will require you to have a specific amount of relevant work experience before you will be eligible to begin your MBA degree program. You should also expect to be required to earn a satisfactory score on the GMAT (Graduate Management Admissions Test) or the GRE (Graduate Record Examination) prior to beginning the MBA degree program. As you begin working on the course requirements for your MBA degree in project management, you should expect to take classes such as project planning, project ethics, team building, and risk management. The required course work will be designed to teach you about cost benefit analysis, effective methods of presentation, decision science, project documentation, statistical analysis, and mathematics. While the specific requirements will vary slightly from one learning institution to another you should expect to be required to complete field specific training courses in addition to the fundamental project management courses. For example, if you are pursuing your project management degree in an area of construction science, then you may be required to complete an internship type course that will allow you to put into practice what you have been learning in the classroom instruction. In your capacity as a project manager you will spend the majority of your time designing, planning, implementing, and completing projects in your specific career field. It is important that you are able to communicate effectively with colleagues, as well as employees, and that you can make appropriate cost and risk assessments for each project that you manage. 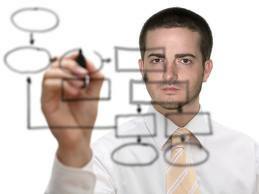 It is common for project managers to work in the field of engineering, information science, or construction. On any given day, you may find yourself gathering information from a variety of sources in order to provide meaningful updates to clients or upper management executives. It is common for this to be necessary for each stage of every project that you are managing. Therefore, it is important that you are able to communicate effectively with your team members, that you are consistently available to provide support, direction, and motivation as needed so that projects are finished in a timely and cost effective manner. Additionally, you should expect to be involved in every aspect of a project; from the beginning when goals are defined and milestones are created until the project is complete. It is important to understand that this career field is a growing occupational area; therefore, obtaining your MBA degree in project management is a great way to secure your position in this career field. Additionally, many individuals who are working in a field relative to project management choose to increase their level of education so that they can be eligible for promotions and advancements within the company they currently work for. Essentially, you will want to obtain your project management MBA degree and fine tune the skills you have that will make your projects as successful as possible.